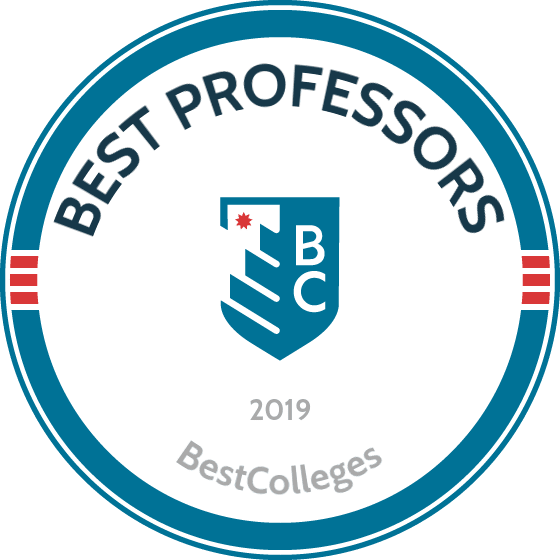 Below is a ranking of colleges with the best professors. These rankings were determined based on experience and education of faculty at colleges around the country. However, the most important ranking consideration was student opinion. Anonymous surveys were sent to students which asked questions about the effectiveness of their professor's teaching, opinion on the professor's knowledge level, how well professors did engaging the classroom, and more. Oklahoma Wesleyan University has a wide range of highly rated professors, particularly for students interested in the fields of science, mathematics, and psychology. Some of its most popular and highly sought after professors include the likes of Professor White and Professor Wilson, two of its premiere teachers in the field of psychology. North Greenville University is renowned for its immensely popular professors. In fact, you'd be hard pressed to find a negative review amongst the bunch, as many are as highly recommended as they are from diverse fields. Students can rest easy knowing that regardless of their discipline, there are professors that are considered extremely helpful and knowledgeable in mathematics, English, science, and the fine arts. U.S. Military Academy and its West Point staff take their duties as educators quite seriously. Through their task organization, West Point and its staff are better able to clearly instruct students and provide them with the type of focus that only a military academy can provide. Carleton College has a large selection of particularly memorable professors, though it would seem their strength lies mainly in the history department. Under Professor North's example, students have found a renewed sense of interest in history and its applications to the present. Similarly, Professor Carleton is another professor that comes highly recommended from the religion department. If studying history and religion interest you, then you could do worse than sign up with Carleton or North. Northwestern University seems to have a specific focus on the liberal arts when it comes to the Professors it enlists for its courses. In particular, the theater and sociology departments appear to come highly recommended by students under the tutelage of Professors Barker and Monsma, respectively. U.S. Air Force Academy draws the strength of its educators from a variety of sources. Students of the U.S. Air Force Academy can expect to be taught by all manner of personnel, from leaders to officers. Students can also be confident in the education they receive, as more than half of all professors currently teaching at the U.S. Air Force Academy have received Ph.D.s in their related field. Wellesley College comes highly recommended to students interested in two wildly different fields: biology and art history. From these two seemingly random topics, students have found interest in two professors that have elevated the material far above their contemporaries. Professors Cameron and Cassibry are not known for being especially easy, but they make up for it with their willingness to help students and their extensive knowledge of their respective fields. Master's College and Seminary is, as one might expect, full of professors that are committed to providing their students an effective education in religious studies. On top of that, some of their professors have become particularly popular for their unique insights into social work and the topics associated with it. Bryn Mawr College is an especially popular choice for those seeking to further a career in education or language development. To that end, Bryn Mawr College has two professors that should be specifically sought out: Professor Cohen and Allen, respectively. Whitman College should be at the top of any prospective student's list that seeks to further an education in film or religion. Backed by the outstanding Professor Belinger, the film department at Whitman College has benefited tremendously from both his professionalism and expertise. Professor Fitzsimmons is of equal talent as part of the religion department, ensuring that students will always have a place to go in pursuit of furthering their academic career. Students typically choose a university or college based on things like location, the majors it offers, ranking, and cost – however many graduates leave school remembering only their very best and very worst professors. College professors have a way of shaping students' futures by inspiring them into new majors and careers, helping them get a head start in their industry of interest, or opening their minds to new ideas, cultures, and innovations students simply aren't ready to learn about when they're in high school. All great professors are great in their own way, but one thing they all have in common is a passion for their field and a desire to spread their knowledge to others. Here are some of the traits that make a college professor extraordinary. It may sound basic – but college students consistently mention how much they appreciate a professor who comes to class prepared to teach as opposed to the ones who seem surprised to be up in front of a class at all. Preparation is about more than just being to class on time. In an anonymous survey, students mentioned that truly prepared teachers always had a variety of activities planned throughout their semester including guest speakers, presentations, in-class discussion topics, and more. Professors who show a genuine interest in their students' ideas, goals, and education are often rated highly by their class. Office hours, truly listening to what students say in class, and making an effort to build a professional relationship with students are hallmarks of a professor who will help a student get ahead as well as teach them what they need to know. Prospective college students should spend an afternoon reading the bios of faculty teaching the major that they're interested in on a college's website. While education is great – experience in the real world is paramount. Professors who have worked or researched in their industry for many years, if not decades, will be better equipped to prepare students for careers out of college and stimulate their minds while in school.